LOOKING for an early Christmas present? 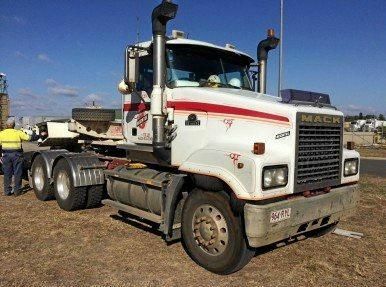 Well, millions of dollars of pre-loved Bechtel gear will be going under the hammer at Hassalls last mega auction for the year. Hassalls business development manager Darren Dreaver said competition among tradies, businesses, miners and farmers would be "spirited" as they fight it out for more than 20 Ford Rangers, diggers, trucks, Kawasaki Mule ATVs, a fire truck, trailers and Knaack toolboxes full of hand and power tools. Mr Dreaver said the last auction of the year would attract more than 300 buyers because of the "yellow" or excavating gear that was available this time around. "It's the last one for the year so it's going to big but everyone will be able to pick up a bargain," he said. "We get a lot of tradies because there's so much gear and such a variety that appeals to everyone from the home handy man to big miners." He said the Knaack box wars would kick off again, with many of them full to the brim with power tools. The auction will be on next Thursday at Gracemere with inspections available on Tuesday and Wednesday. Hassalls expects to hold the last ever Bechtel auction February next year.